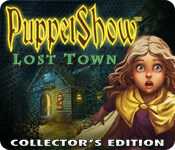 PuppetShow: Lost Town Collector's Edition is rated 4.1 out of 5 by 26. Rated 5 out of 5 by Boomer1097 from Excellent Game This game was so much fun to play! You are the detective trying to find a lost girl. You have to find and search an abandoned town to discover the mystery and find the girl. The graphics are amazing, the cut scenes and voice overs are well done, the iHOS are fun, the mini games are fun. The inventory items are held in a "tools" area which fans out when you need to look through the items. There isn't a map per se, but you don't really need one. The built in SG comes in handy when you're stuck. The ending of the main game was satisfying and the bonus game added more mystery to the story. The extras are wall paper, concept art, screen savers and music. 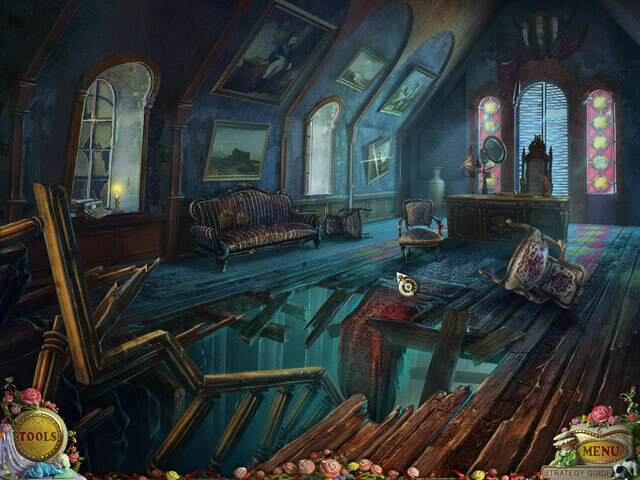 I played this game before the two than come before it (Mystery of Joyville and Souls of the Innocent). Playing them in order may provide an even better experience. I highly recommend this game! Rated 5 out of 5 by jivins11 from Creepy dolls are creepy! This is the third installment of the PuppetShow series and it is just as creepy as the last two! 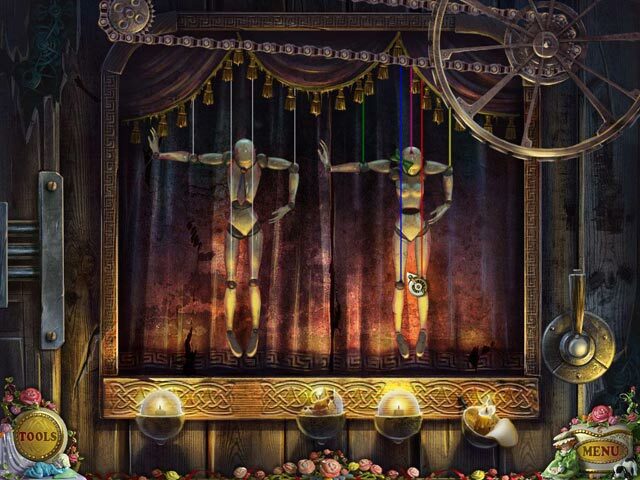 This game boasts improved graphics, creepier puppets, and good puzzles. The storyline for this one was not as in-depth as the last two, but it does continue the overarching plot well. The HOPs are good. This time there are more "hidden" items in the HOPs. I'm hoping in the next game they get slightly more creative with them. I'm more used to the modern HOPs where there is more to do than just search and click. The non-HOPs are good and challenging. They are also varied enough to make it interesting. There is a strategy guide, but still no hints unless you are in an HOP. This time I did end up using the strategy guide a couple times when I was completely stumped as to what to do next. Overall a great game. Can't wait for the next one! Rated 5 out of 5 by sapoe from great! Just two words, love it! I played this one when it first out and never give a review. So yes, I really enjoy and having fun playing this game from beginning 'til the end. All of this series, is on my favorite list games I ever played. Thanks you ers and good job! As always, I adore your graphics. Rated 5 out of 5 by neilskinut from Great and a must buy All I can say is buy all the puppet show games. They are great and fun to play. Not extremely hard to play. Rated 5 out of 5 by Xhrystal from Surprise! : another chapter I had been away from my obsession for awhile and then gotten back on with "Return to Joyville" and then saw that I had missed a game. Whoops! So I had to go back and get it. I found this one the hardest out of any of them, but the story was less intriguing. It kind of petered out a bit and was just, oh, Felecia is doing the crystal thing again. But still amazing graphics, love the interactive HOS's and the twist at the end of the bonus level. Collector's edition for this game are always worth it to me because I couldn't stand not knowing the real end of the story and since I love the design so much I love having wallpapers and the music. 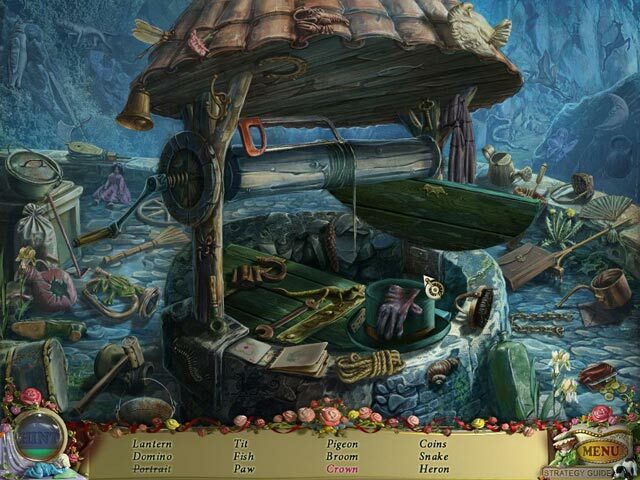 Rated 5 out of 5 by rheashard2 from PuppetShow; Lost Town CE I enjoyed this game. The graphics and such are excellent. I had no software problems. I play with Mac 10.6.8. The one 'glitch' I thought I had in bonus section ended up to be a cleverly hidden item. Some things were nearly too clever for me to figure out. I was upset after all my 'work' the villain got away but that makes me wait next installment. Rated 5 out of 5 by medani from So Fun! I have enjoyed all of the Puppet Show games! Each one had good quality in art and in creepiness. The music is fantastic, the puzzles were challenging and the storyline is very good. I'm itching to play the sequel. The ending of the last one left me wanting more and I hope to see another one soon! Rated 5 out of 5 by Juju38 from Another Fab Addition! Absolutely brilliant Big Fish, thank you! what a joy to play. Loved the art work, the graphics are superb and the music is wonderfully creepy! So happy that is was left to be continued, does this mean we will have 4 Puppet Shows in the series? Just as wonderful as the first 2 though i must admit the bonus content was very short and completed in 30 mins, but overall what a great game.